The world is full of start-ups touting technological breakthroughs and innovations. But a substantial majority never make it to the big time, especially not as independent companies. This is particularly true in research-driven hotspots such as Cambridge. Why is this? A lot is down to a lack of understanding of the importance of marketing and sales, with tech-led founders believing that having the best technology is enough and will bring buyers flooding in. Therefore, they reason, there’s no need to focus on disciplines like marketing as the product is so good and so advanced that it will simply sell itself. Clearly, nine times out of ten this is never going to work. As Tony Wilson discussed at this week’s Cambridge Marketing College Brainfood for Breakfast event, the uncomfortable truth is that “nobody is going to buy your stuff.” For a start people don’t like spending money, particularly in B2B, and are normally happy doing what they’ve always done – you don’t tend to get fired for sticking to the status quo. You can’t sell a product on its own. It has to solve a specific business problem and therefore deliver a quantifiable benefit. That could be speeding up a process (such as getting a product to market), or increasing efficiency. Essentially, to borrow a phrase from Clayton Christiansen, you need to help them with their “jobs to be done”. Its an obvious fact, but businesses rely on customers for their survival. And in an era of rising customer expectations and ever-expanding choice, consumers are very happy to move elsewhere if a business isn’t providing what they are looking for. So your product has got to deliver benefits that help your customer’s customer in some way, shape or form. The other thing that keeps CEOs awake at nights is the competition. How can they differentiate their business while preserving margins? We’re increasingly in a winner takes all world, where premium brands can charge much more, leaving their competitors to scrap amongst themselves for higher volume, but lower margin business. Smartphones are a case in point – Apple, and to a lesser extent Samsung, can set high prices, confident that loyal consumers will see the value they deliver, while rivals are forced to discount. Each handset is broadly similar in terms of what it does – but it is differentiation and a focus on the customer’s needs that allows some brands to charge more. So, how does your product help companies to differentiate themselves from their competition? It is clear that tech companies, particularly in B2B, need to focus on the needs of their customer, and their customer’s customer. But many don’t do this – or even understand how their product is being used or the value it is providing. The answer is simple, but does require marketers and sales teams to change how they operate. As Tony Wilson points out, you need to go out and talk to your customers, embed yourself in their world, understand their pain points and how you can solve them. That might mean revamping your product or bringing in additional functionality or partners to deliver this – but by providing a solution to a problem, you’ll increase sales, boost loyalty and preserve margins. The question is, are technology businesses ready to really listen? We’re now in the midst of the Consumer Electronics Show (CES), which sees more than 170,000 people descend on Las Vegas to view and play with the latest technology. And with consumer electronics now covering everything from connected cars to smart appliances and household robots, it provides a real glimpse into the future of how we will live, work and play. And if people think that this is hyperbole, just look at the speed at which innovations such as Amazon’s Alexa digital assistant and electric cars have entered the mainstream. Morgan Stanley predicts that 22 million Echo devices, which feature Alexa, were sold in 2017, while countries such as the UK and France have banned the sale of new petrol and diesel cars from 2040. You can even buy those sci-fi staples jetpacks and hover boots. That’s why the issues tat LG’s new Cloi robot suffered at its CES debut should be a wake-up call to marketers. The device, which is designed to help consumers manage their smart homes, initially co-operated at an onstage demo, but then simply gave up and refused to do anything apart from blink when asked when the presenter’s washing would be ready and what was for dinner. As the owner of an Amazon Echo Dot, I know exactly how the poor chap feels, and have to commend him for not shouting abuse at Cloi in public. But what this shows is that complicated technology is exactly that – complicated. It can be difficult to get it set up correctly in the first place, to then get the best out of it or link it to other devices in the home. Compare this to the analogue products that most people are used to interacting with, and you can see the problem. They work straight from the box and are designed to be simple to use and get value from. This model worked in the past, but I think the acceleration of tech means it is no longer accurate. We all have constant exposure to technology, such as smartphones, and the falling cost of devices, and their omnipresence, means that the majority/laggards often don’t have a choice about adopting them. This potentially divides society into the technologically-skilled and the Luddites who cannot manage to stay on top of innovation, and consequently miss out on the advantages it brings. In turn this leads to resentment and, I believe, drives frustrations which can be manifested in concerns over the future and consequent support for populism and insularity. What does this mean for marketing? Essentially, we need to stop just pitching technology at the Early Adopter, but make sure that it appeals to everyone. We have to be clear on the advantages, clear on how it used and provide the support to assist people in getting the most from it. And by support I don’t mean an impenetrable, jargon-filled manual or a premium rate phone number – I mean tailored assistance that shows how users can benefit. No doubt CES 2018 will see a whole raft of wonderful technology innovations unveiled – but in order for them to be really successful companies have to address the fundamental marketing question of “What does it do for me?” in a much better, more understandable way. For anyone like myself who was around during the dotcom boom, it is hard not to feel that you are suffering from déjà vu. Many of the exotic ideas and concepts that spectacularly flopped at the time have been reborn and are now thriving. Take ecommerce. Clothes retailer Boo.com was one of the biggest disasters of the period, burning through $135 million of venture capital in just 18 months, while online currency beenz aimed to provide a way of collecting virtual money that could be spent at participating merchants. Offline, we were continuously promised/threatened with smart bins that would scan the barcodes of product packaging as we threw it away, and automatically order more of the same. And goods might arrive from a virtual supermarket, run as a separate business from your local Tesco or Sainsbury’s. You could pay for low value goods and services with a Mondex card instead of cash (though initially only if you lived in the trial town of Swindon). The first Personal Digital Assistants (PDAs) were launched, providing computing power in the palm of your hand. We’d already laughed out of the court the ridiculous concept of electric cars, as typified by the Sinclair C5. Fast forward to now, and versions of all of these failed ventures are thriving. There are any number of highly graphical, video based clothes retailers, while you can take your pick of online currencies from Bitcoin to Ethereum. We’re still threatened with smart appliances that can re-order groceries (fridges being the latest culprit), but Amazon’s Dash buttons are a neater and simpler way of getting more washing powder delivered that put the consumer in control. And Dash bypasses the supermarket itself, with goods dispatched direct from Amazon. I can pay for small items by tapping my debit card on a card reader – even in my local village shop. More and more cars are hybrids, if not fully electric, while handheld computing power comes from our smartphones. What has driven this change? First off, the dotcom boom was over 15 years ago, so there’s been a lot of progress in tech. We have faster internet speeds (one of the reasons for Boo’s demise was its graphics were too large for most dial-up modems to download), better battery life for digital devices and vehicles (iPhones excepted), hardware and sensors are much smaller and more powerful, and network technologies such as Bluetooth and ZigBee are omnipresent. However, at the same time, the real change has been in the general public. Using technology has become part of everyone’s daily lives, and those that are not online are the exception, rather than the rule. It is a classic example of the move from early adopters to the majority, as set out in Geoffrey Moore’s Crossing the Chasm. And it has happened bit by bit, with false starts and cul de sacs on the way. Despite all the talk of innovation, there are plenty of things that people continue to do, even though they are no longer the optimal way to achieve something. Take typing for example. 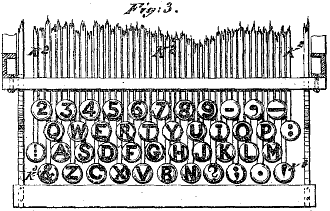 The QWERTY keyboard dates back to the first, manual typewriters, where the typist hit a key manually pushing the inked letter onto a sheet of paper. The problem with the first typewriter designs was that people could hit the keys faster than the machine would cope with, leading to jams as multiple keys became intertwined. Hence adopting what was essentially a sub-optimal system in terms of speed, in order to make typewriters more efficient overall. Now, in the digital age jamming is no longer a problem, yet everyone still uses a QWERTY keyboard, as that is the de facto standard, irrespective of the fact that it can give you carpal tunnel and repetitive strain injuries. Driving is another area where tradition dictates what we do. The reason that in England we drive on the left dates back to the days when people rode horses – as the majority of the population was right handed you could hold your reins with your left hand, leaving the other free for your sword. As part of the French Revolution this was reversed in France, and then imposed by Napoleon on the countries he conquered. This means that the majority of countries in the world now drive on the right, despite the fact that accident rates are lower amongst left hand drivers, perhaps due to right eye dominance. The most logical, sensible solution can’t necessarily overcome the status quo, particularly if it means people have to completely relearn how they operate. People continue to choose a particular course of action, even if the reasons for it are lost in the mists of time. Tradition rules. Why is this important? I meet a lot of technology startups, and many of them enthusiastically talk about how their invention will completely change a market or sector. Build it and they will come seems to be the mantra. All it takes is for people to see how outmoded and inefficient the current technology is, and switch to their new, unproven, but potentially much better solution. And normally relearn how they operate. And pay a bit more. Often, they then wonder why they fail to get market traction or growth. Essentially people weren’t sufficiently convinced of the advantages to change what they did. They preferred to be inefficient rather than invest the time to solve a problem. We’ve all done this, spending an extra minute or so doing something on our PC because that’s how we were taught 20 years ago, rather than spending 15 minutes reading the manual and upgrading our knowledge. This isn’t to say that innovation can’t happen. Look at the Dyson vacuum cleaner – the advantages of changing (no bag, better performance), outweighed the higher cost and learning how it worked. But in that case the benefits were extremely clear, and, most importantly, marketed very well. So, the lessons for every business, whether a startup or not, are clear. The vast majority of the population generally doesn’t like change, and therefore the benefits of something new have to dramatically outweigh the disadvantages of how things have always been done. Innovation has to be clearly marketed if it is going to take root with the majority, as opposed to early adopters – it won’t just sell itself. It has to fit inside the ecosystem of what people are comfortable with, and provide them with the best overall experience. That’s why VHS beat the technologically superior Betamax technology – it had the content from Hollywood studios and was easier to operate. Often it can be easier to sell a better mousetrap than a completely new method of rodent killing device. Therefore talk to your audience, understand their pain points and make sure you provide a simple, powerful solution – otherwise you are likely to join the ranks of technically superior, but unused products, and all your innovation will be wasted.